San Francisco may be the densest city west of the Mississippi, but it’s actually mostly made up of single-family homes. 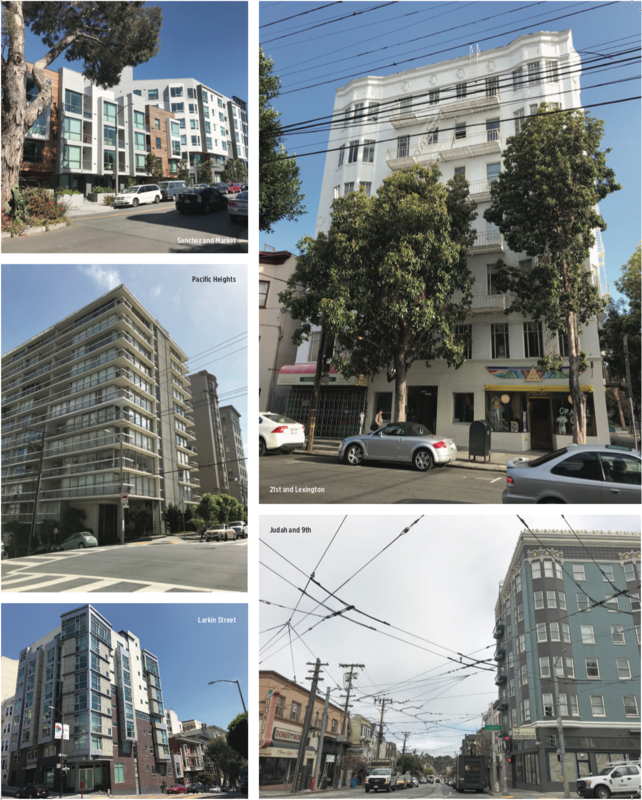 Luckily, taller residential buildings peppered throughout San Francisco offer us an example of what more taller buildings might really look and feel like in our neighborhoods — and in most instances, they look great! As the photos here show, whether new or old (or midcentury), these buildings have distinctive architectural style. The term “neighborhood character” is often used to describe what defines a neighborhood’s architectural mix and cultural identity. But the term is also often invoked to stop different types of buildings from being built. Rest assured, most of these buildings fit in just fine. 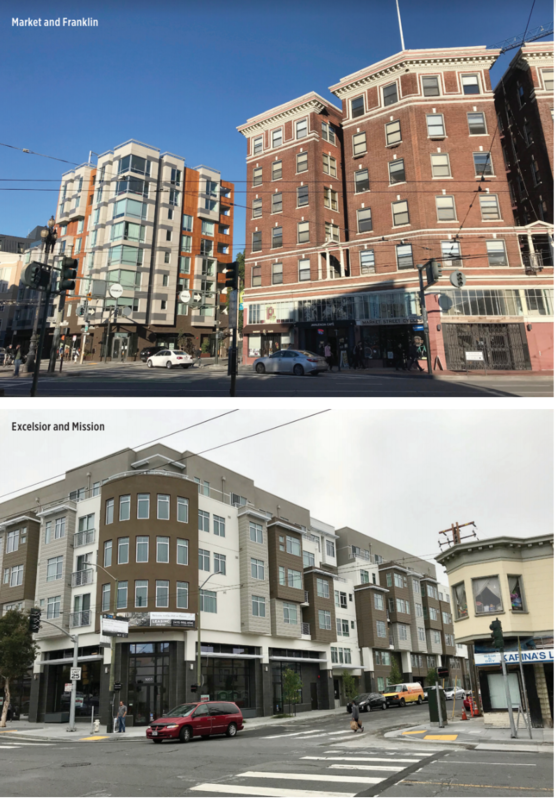 Any new building will seem out of character in its first few months or even years (I’m looking at you, Transamerica Pyramid); in time, it fits in fine, regardless of architecture or height. A taller building doesn’t change the neighborhood character; it is the people, businesses, and vitality of a neighborhood that create it. Two final notes: Early 20th-century buildings had nice textural adornments. and the 21st-century seems to be more about color than texture. And finally, with regards to the term “Manhattanization”: Manhattan buildings are up to 90 stories tall. Every building shown here is 6 to 10 stories tall. I call it “Home-ification”.